San Diego Police on Tuesday identified the father of a 22-year-old woman as a suspect in her stabbing death and revealed he may have jumped from the Coronado Bridge. 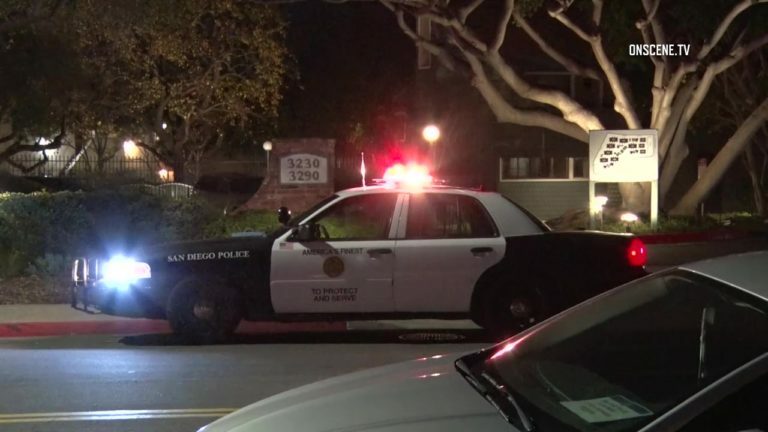 On Sunday night police found Jamar Walter, 26, bleeding from a severe stab wound in a Clairemont alley. His girlfriend, Katherine Mills-Perkins, was found stabbed to death in a nearby apartment. The suspect was identified as Mills-Perkins’ 57-year-old father, Mark McClellan. Approximately 40 minutes after the murder, McClellan’s black Hyundai was found abandoned on the Coronado Bridge. Witnesses described a black male adult running from the car and jumping off the bridge, but police said that so far no body has been recovered from the bay. “It appears that it is a suicide, but that part of the investigation is still open,” said Lt. Mike Holden. The motive for the assaults, which apparently took place inside the couple’s residence, remains unclear. There were no reports of a disturbance there prior to the emergency call that alerted authorities to the stabbings, the lieutenant said. Due to the extent of the injuries suffered by Walter — who remains hospitalized in intensive care but is expected to survive — detectives have not been able to question him in any depth, Holden said.